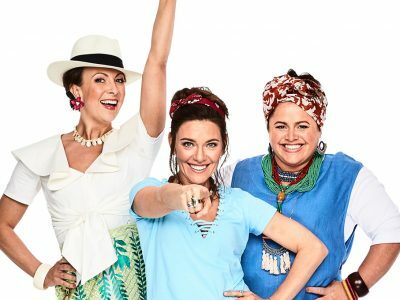 The brand-new production of MAMMA MIA! The Musical commenced rehearsals in Australia this week ahead of its opening in Canberra next month. During a recent photo shoot, we caught up with the three gorgeous leading ladies who will be playing our Dynamos – Natalie O’Donnell (Donna), Alicia Gardiner (Rosie) and Jayde Westaby (Tanya). Fun Fact: Natalie O’Donnell played the role of Sophie in the original Australian production! Meet the Australian Dynamos below.